1968 Shelbys used two different air cleaners from the factory. GT350s and GT500s used the "COBRA" style oval air cleaner. 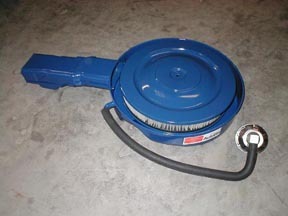 Originally, the air cleaner was designed to be mounted by two wing nuts. A Shelby technical letter dated 3/14/68 outlines the procedures for modifying the air cleaner to prevent it from twisting and causing interference with the choke. In this picture, you can see the two studs and the bracket which were removed. 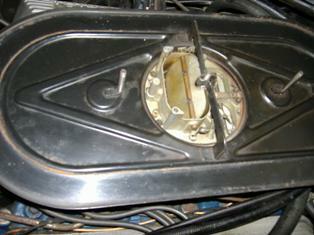 It is easy to see how the center bracket could interfere with the operation of the carburetor. The original holes were filled with chrome buttons and a single, center hole was drilled for the wing nut. GT 500 KRs used the Shelby ram air cleaner. While some of the components are the same as other Cobra Jet cars, it is unique to the Shelbys. 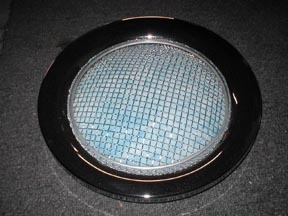 This is an original air cleaner without the ram air rubber seal. 1968 Shelbys did NOT use the "Cobra Jet Ram Air" decal on the lids. GT 500 KRs used both the FA-41 and the FA-50 air filter. The FA-41 is more common. This is an original "snorkel". The snorkel is actually called the duct and valve assembly for the air cleaner. 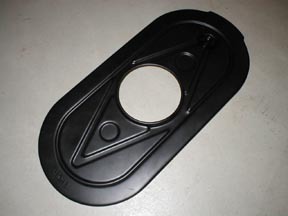 It is Ford part number S8MS-6A626-A. If you look closely at the snorkel, you will notice it does not look that different from other muscle car snorkels. 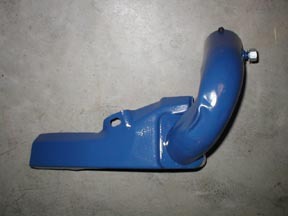 Many of the snorkels being sold today are fabricated from original pieces. After the pieces are found, they are reconfigured into the correct shape and re-welded. Look for some nice clean spot welds. 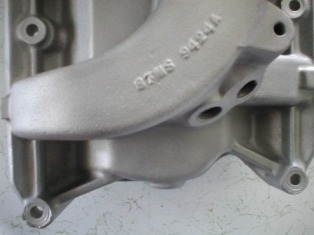 Most fabricated parts are "puddle" welded and ground smooth. If you build a snorkel it may cost you a couple hundred bucks. Because the GT 350s and GT 500s used the oval air cleaner, they did not use a warm air duct system. On GT 500 KRs you should find a heatshield and S-Tube. These parts are common to all Cobra Jet cars. The heatshield, bolted to the passenger side exhaust manifold, is shown on the left. This is an original. The indentations on the tube are the way it is formed. The S-tube is shown in the right picture on the right. 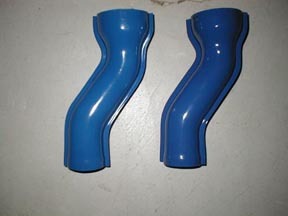 This picture compares a reproduction tube (left) to an original (right). I just couldn't resist. This is a SHELBY Ventra Flow air cleaner. It was available "over-the-counter" from Shelby dealers. Much like the 10-spoke wheels. The Ford iron intake and Autolite carbs were used on many GT350s. There are several variations of what is "correct" depending on when your car was built. To further confuse the issue, SHELBY sent a recall letter May 21, 1968, for the cast iron intake manifold. Take a look at the chart below. 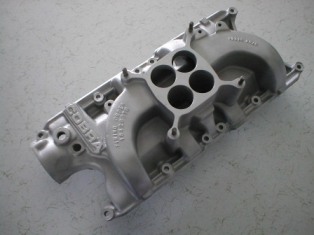 Ford allowed some Autolite carbs to be used with the aluminum intake manifolds. This information comes directly from the recall letter sent to the dealers. This is the S7MS-9424-A aluminum intake. It has the word "COBRA" on the front. It is entirely possible that not all cars were returned to dealerships for the installation of the aluminum Cobra Intake manifold. Several other versions of this manifold were sold over-the-counter. 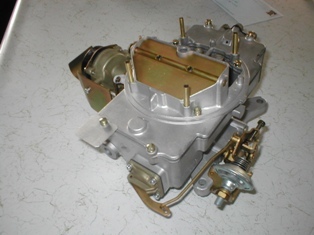 This is the C8ZF-9510-C Autolite carb. It is correct for a 4 speed GT350. The Holley carb is also correct. 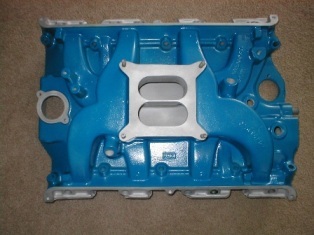 All GT 500s used the aluminum, intake manifold identified "C7AE-9425-F" . This manifold is a single four barrel. 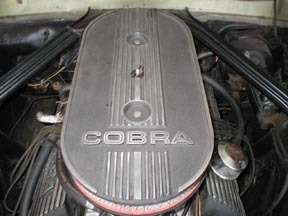 This is similar in design to the 428 Cobra Jet manifold. It was originally painted blue with the motor by FORD. I have seen many restorers leave these bare, but I do not believe that is correct. 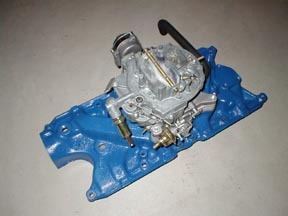 GT 500s used the same Holley C8ZX-9510-A carburetor regardless of transmission. Some early GT500s actually used a Ford Autolite carb. It carries the Ford Id # C8AF-9510-AE. This carb was only used for a few weeks. 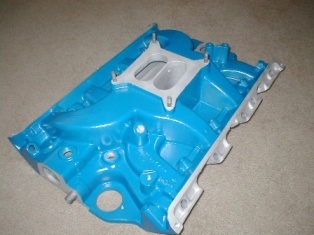 All GT 500 KRs used the cast iron C80E-9425-C intake manifold. 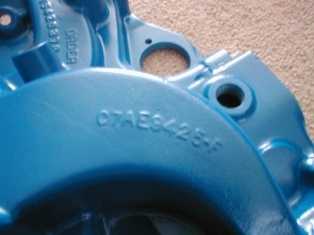 This manifold was often removed by owners because of its weight. 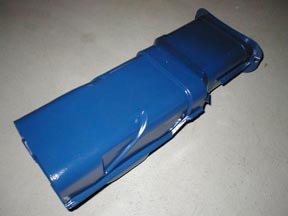 It is painted blue with the motor. 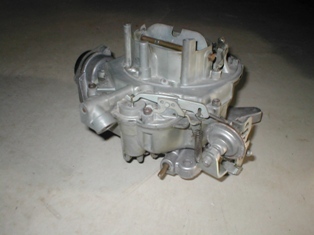 Two different carburetors were used. 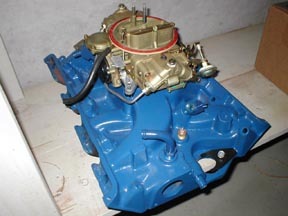 While these carbs were used on some other FORD products (like Fairlanes and Torinos) they are quite hard to find. Some Holley reference books incorrectly list the applications for these two carbs. The C80F-9510-AA was used on 4spd cars. The C80F-9510-AB was used on automatics.